The Secret of Black Garlic with Fruit Sensation Taste! 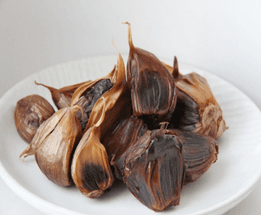 such as the efficacy and the effect of black garlic. 1. Black Garlic has no garlic peculiar smell. some benefits. It becomes easy to eat and you would not be worried about bad breath or body odor even if you eat it every day. blood smoothly flows. 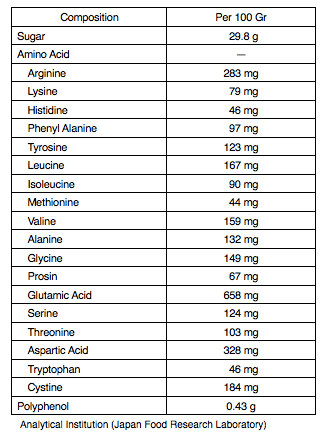 Furthermore, it seems that S-allyl cysteine has other various efficacies as well. S-allyl cysteine has many efficacies as follows. Immune power is increased, preventive effect to cold etc. Black Garlic is better for the body than the ordinary garlic. 3. Black garlic promotes metabolism and improves body cold. coldness and numbness due to coldness. 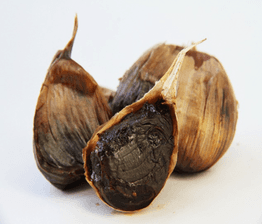 Explanation of Black garlic’s frequently asked questions. When it is matured and blackens, somehow it gets sweeter. From the person who consumed it, mostly they said it has a taste impression of dried fruit. Q2.What does it taste like? Q3.Is the smell really okay? When consuming, it will smell sweet and sour. However, unlike after eating dumplings and fried garlic, bad breath is not to be worried about. It is okay even consuming it before working or dating.